stock image of Rusk with blue aniseed balls on blue plate. stock image of Apgujeong street at sunset. 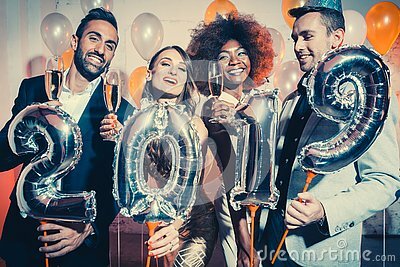 stock image of Party people celebrating new years eve.